Best Tasting Protein Powder + Everything You Need To Know! With so many options, finding the best tasting protein powder can be a real pain! They’re expensive, you can’t taste test them — you know the struggle. So, I put together this best tasting protein powder guide to help you find the right one for you, without having to spend tons of money trying to figure it out! Below I’ll share the nutritional values, ingredients used, and of course, my opinion on the taste and consistency of each product. * I find the best tasting protein powder vanilla and chocolate flavors, despite the 20+ flavors most brands offer. 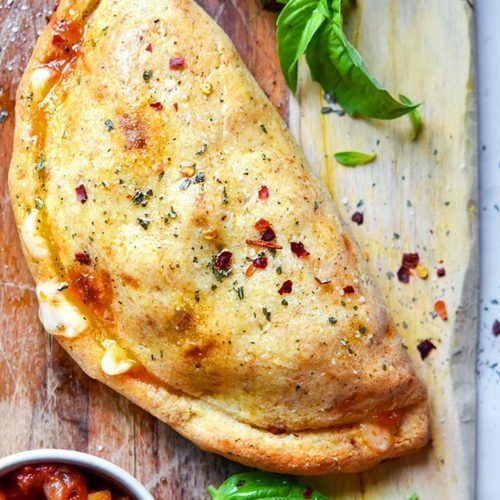 These flavors typically contain less ingredients, and taste less processed. Before we delve into the contenders for best tasting protein powder, I’ll share with you the industry lingo, so you know how to find the best protein powder for you based on your unique needs. If you already know what you’re looking for, skip to the best tasting protein powder list below! Whey Protein Isolates: Protein isolates are made from drying and physically separating the protein from non-protein constitutes. This yields 90% (or more) whey protein. 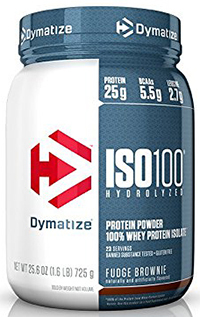 Hydrolyzed Whey Protein: Hydrolyzed protein has been processed with acid and high heat to isolate the protein and make it easier for the body to absorb. This yields 90-95% whey protein. Casein is another protein found in milk. It differs from whey in that it’s a slow protein — meaning it supplies the body with a slow release of amino acids over a longer period of time. Because of this, some body builders prefer this protein source. On the other hand, casein is not as easily digested and may cause inflammation in some people. Usually a combination of soy, hemp, pumpkin seeds, rice and peas — each product’s ingredient list will vary. Glutamine is the most abundant amino acid (non-essential) in our bodies, and is produced in our muscles. This study found glutamine supplementation may help to reduce exercise induced muscle soreness. BCAAs, also know as branch chained amino acids are essential amino acids (meaning our bodies can’t make them on their own) with a “branch chain” chemical structure. Many athletes take these to “improve athletic performance, prevent fatigue, improve concentration, and reduce muscle breakdown during intense exercise”, although there’s a lot of conflicting evidence that BCAAs have any effect on this. Leucine is an essential amino acid (it’s also a BCAA). Insulin and leucine allow skeletal muscle to coordinate protein synthesis. This study found it helped the age related decline in muscle mass. Acesulfame Potassium, a calorie free sweetener. Sucralose, a calorie free sweetener. Stevia is sucralose based. Steviol Glycosides is stevia, (a calorie free sweetener). Thaumatin is a low calorie sweetener extracted from the katemfe fruit found in West Africa. When choosing the best tasting protein powder for you, I strongly suggest diving into the nutritional label and ingredients. Then you’ll know exactly what you’re putting into your body, such as fake sweeteners, sugar, so on and so forth. Depending on your eating plan and dietary restrictions, there may be some alarming additions to your protein powder. As stated above, whey is a protein found in cow’s milk. 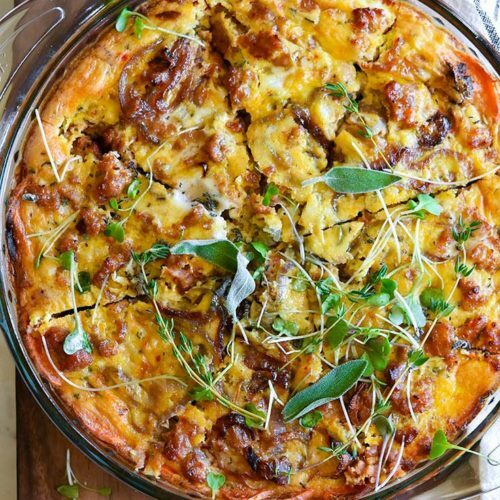 It’s full of the amino acids our bodies need and makes for a great protein powder! The best tasting whey protein powders are an awesome choice for those without dairy allergies or sensitivities. This delicious protein powder comes in almost every flavor you can think of! 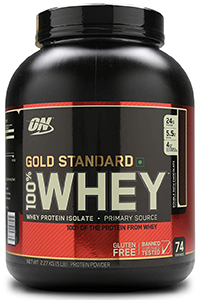 It’s 100% whey protein, made up of whey protein isolate, whey protein concentrate, and whey peptides. It’s sweetened with acesulfame potassium. This is my favorite whey protein powder. It’s made from hydrolyzed whey protein and whey protein isolates and is sweetened with sucralose and stevia. Plant based protein powder is awesome for vegans, or dairy intolerant. 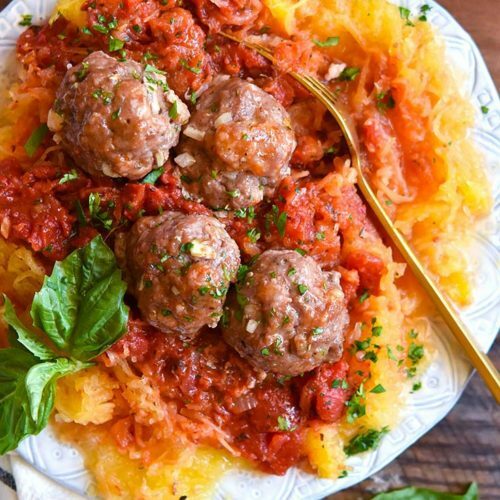 They’re also great for those on a paleo eating plan, depending on the product you choose. If you’re on a regimented eating plan, be sure to read the ingredient list before purchasing, as each plant based protein will vary. Side note, I can’t stand the taste of pea protein on its own! Both products below include some pea protein, but are combined with other flavors for a much tastier protein powder! In my opinion, this is the best tasting protein powder vegan option! It’s made from pea and brown rice protein, plus a handful of sprouted grains, beans nut and seeds. It’s sweetened with stevia. 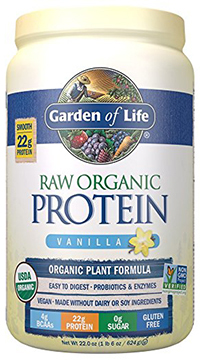 Another tasty vegan protein powder, this one is pea protein based, but the flavor is balanced by additional ingredients. It’s sweetened with thaumatin. I love the clean and minimal ingredient list. 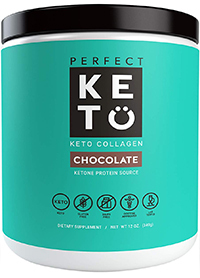 Most of the keto protein protein powders include MCT oil and collagen peptides, and no whey or plant protein sources. This product is interesting, and definitely different than the other protein powders on this list. Made from collagen protein and sweetened with stevia. 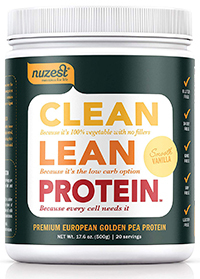 I wish this product was higher in protein, but I really love the minimal ingredients used. Water. Easy, and the true test as to whether or not your like the taste of your protein powder! The best tasting protein powder mixed with water can taste like chocolate milk, or it can be hard to swallow. To do this, mix best tasting protein powder with water in a cup, pouring the water in first and making sure not to fill the water too high. Stir with a spoon and enjoy. 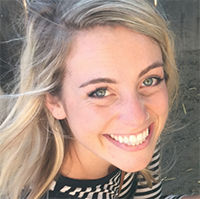 Milk or Low Carb Milks (Almond Milk/Coconut Milk, etc). Same directions as above. Not only do I use the best tasting protein powder to make shakes and low carb smoothies, I also add it to all sorts of low carb recipes. It’s my kitchen’s secret weapon! Here are a few ways I put it to use — from the best tasting protein shake to fudge! 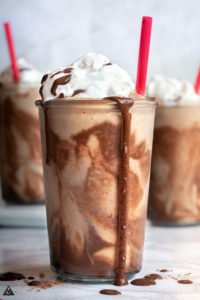 There are so many delicious low carb smoothies you can make with the right protein powder — or, you can make a low carb milkshake! Top it with sugar free whipped cream for a tasty treat. Can you even believe it? 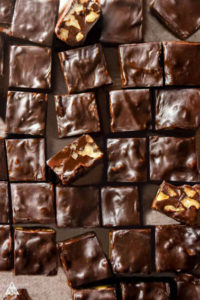 Protein in fudge? This low carb desserts so delicious, you’ll never even notice! 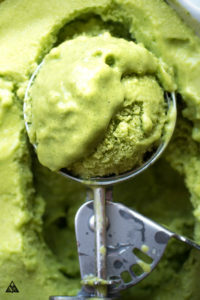 Alright, the color may seem off putting, but once you try a bite of this ice cream you’re never going back! 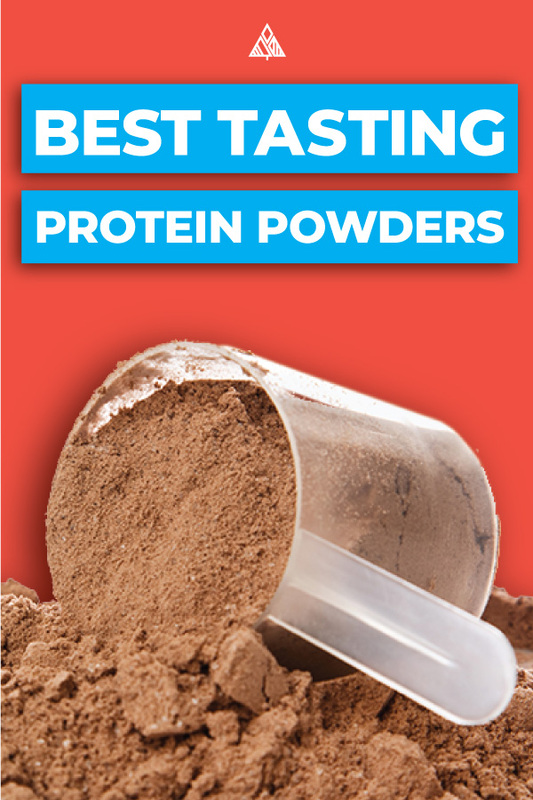 Whether you’re looking for the best tasting protein powder for weight loss, body building, or a protein boost, I hope you found what you were looking for on this list! Leave me a comment below, and tell me your favorite protein powder + how you drink/eat it! Enjoy!